Antonio Mario Lorgna's parents were Domenico Lorgna, a cavalry officer of the Venetian army, and Teodora Quarotrio. There is not a misprint in either names we have given above, although the careful reader may have noticed that we have given his middle name once as Mario and once as Maria. This was deliberate, for although he was baptised Antonio Maria Lorgna he clearly did not like 'Maria' and in all his publications he gave his name as Antonio Mario Lorgna. He was born in Cerea, a town about 30 km south east of Verona and about 30 km due east of Mantua. No information is known concerning his early years or his early education. The first information that has been recorded shows that in 1757 he was in Dalmatia, probably having gone there with his father, participating in land reclamation projects in the valley of the river Krka, working under Alvise Contarini, the Governor General for Dalmatia and Albania. Dalmatia, the coastal region of present day Croatia, was controlled by the Venetian government at this time and Alvise Contarini had been appointed by the Venetian Grand Council to serve as Governor General during 1757-1759. The river Krka has its source near the present day border of Croatia and Bosnia-Herzegonina and flows through Dalmatia into the sea through many large lakes, meandering through flooded areas and marsh lands. For Lorgna this was that a period of intense study and he benefited greatly the lessons he received from Antonio Marcovich, a native of Dalmatia and a Colonel in the Venetian army, who was an excellent amateur scholar. Lorgna learnt both practical and theoretical aspects of hydraulics and general engineering and also, at this time, he acquired an thorough knowledge of the Croatian and French languages, as well as studying classical Latin and Greek. Contarini, struck by Lorgna's quickness of mind and versatility, appointed him as his secretary and interpreter. 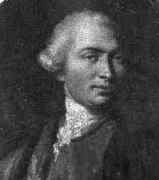 In 1759 Contarini came to the end of his time as governor of Dalmatia, and he arranged for Lorgna to enrol in the Faculty of Arts at the University of Padua, where he attended lectures on mathematics by Giovanni Poleni. Although close to the end of his career, Poleni was one of the leading experts on hydraulics and his teaching was important in Lorgna's development as a scientist. He also attended lectures on astronomy by Giovanni Alberto Colombo who predicted a bright scientific future for him. Colombo was also interested in architecture and just before Lorgna entered the University of Padua he had been involved in a project to restore the university's bell tower. Lorgna chose not graduate and after three years he left the University and began his military career in March 1762. He returned to Dalmatia as a cadet in the Croatian cavalry. He continued his training in mathematics, however, and he also began his work as a hydraulic engineer attempting to reclaim land around the river Krka near Knin. In June 1763 he was called to teach mathematics in the Military College of Castelvecchio, established in 1760 in Verona to prepare military engineers for the Venetian Republic. The Military College was connected to the Castelvecchio, a fortress which had been built into the 12th century walls of Verona in the middle of the 14th century. Lorgna worked at the Military College of Castelvecchio in Verona for the rest of his career teaching courses on trigonometry, mechanics, statics for construction, ballistics and hydraulics. His first appointment was as a "second teacher of mathematics" and then as an "engineer captain." In 1765 he was appointed professor of mathematics in the Military College. He rose to the rank of Colonel in the engineers in 1773 and then Commander-in-chief of the Corps of engineers. He was appointed as Governor of the Military College for Cadets in 1784, a position he continued to hold until his death in 1796. At the same time that he was appointed as Governor he was also promoted to the rank of Brigadier. When he was elected to the Royal Society of London in 1788, he was described as a "mathematician, Brigadier and Governor of the military school at Verona". Although he was a professor of mathematics, Lorgna, like many scientists at this time, had broad interests including military and civilian engineering, physics, meteorology, agriculture, economics, and chemistry. Before we give an indication of Lorgna's contribution to mathematics and other sciences, we look at what many would rate as his greatest achievement, namely the founding of the Società Italiana, the Society of the XL, which has become the National Academy of Sciences of Italy. Although Lorgna was the driving force behind founding the Society, nevertheless four other men played an important role as founder members, namely Carlo Barletti (1735-1800) the professor of physics at Pavia University, the mathematician Ruggero Boscovich, the mathematician Gianfrancesco Malfatti, and Lazzaro Spallanzani (1729-1799). Spallanzani served as professor of logic, metaphysics, and Greek, then as professor of physics at the University of Modena before gaining worldwide recognition as a physiologist while holding a chair at the University of Pavia. These four were Lorgna's friends and they discussed setting up a Society over many years. On 28 June 1766 Lorgna wrote to Malfatti saying that it was important for Italy to have a scientific journal. Over the following ten years discussions went on and by 1776 Lorgna and Malfatti were discussing Lorgna's "idea of forming an Academy for all Italian scholars". Malfatti thought the idea "noble and glorious" but was worried that they would not get deep enough contributions from mathematicians and other scientists. Barletti was also worried that they might not get the highest quality research, but Lorgna, who was confident that the project would succeed, pushed their doubts aside. ... the foundation, the key-stone, the centre of the splendour of Italy. Lorgna undertook a variety of scientific tasks after taking up his duties at Castelvecchio in Verona in areas as diverse as mathematics, physics, hydrodynamics, meteorology and chemistry. He set up a weather station in a tower of the Castelvecchio and made daily readings for a year, publishing the data that he collected in 1764. He undertook research in a number of different areas of mathematics, corresponding with various mathematicians in Italy and other European countries. He was highly regarded for his mathematical skills; for example Boscovich ranked Lorgna as the second best Italian mathematician of his day (he ranked Lagrange in top place). We indicate below the titles of some of his works but let us record here that, among the pure mathematical topics he worked on, was geometry, convergence of series and algebraic equations. He was much in demand for his skill in hydraulic engineering and he advised on various projects around Verona and more widely through the Venetian Republic. Flooding was a major problem in the region and he advised on such matters as well as on various reclamation projects that were being undertaken. He gained an excellent reputation for his skills in these areas and he received many requests to give advice on various projects outside the Venetian Republic, such as at Lucca or further afield at Vienna and Lisbon. However, he was employed by the Venetian Republic and they were not prepared to allow him to undertake any work outside their own area. We should emphasise that his work on the physics of fluids went well beyond the practical issues that he encountered in solving flooding and reclamation problems. Among Lorgna's eighty works on mathematics, chemistry, hydraulics and topography, we mention in particular Della graduazione de' termometri a mercurio e della rettificazione de' barometri Ⓣ (1765), De quibusdam maximis, & minimis: dissertatio statico-geometrica Ⓣ (1766), Dissertazione sopra il quesito: essendo le pressioni dell'acqua stagnante in ragione delle altezze Ⓣ (1769), Opuscula mathematica et physica Ⓣ (1770), Dissertazione sopra il quesito rinvenire il fondamento Ⓣ (1771), Specimen de seriebus convergentibus Ⓣ (1775), De casu irreductibili tertii gradus et seriebus infinitis Ⓣ(1776), Saggi di statica e meccanica applicate alle arti Ⓣ (1782), and Principj di geografia astronomico-geometrica Ⓣ (1789). One of his works was translated into English as Dissertation on the Summation of Infinite Converging Series with Algebraic Divisor, Exhibiting a Method Not Only Entirely New, But Much More General (1779). We should also mention the important contributions that Lorgna made to chemistry. This interest came later in his life and only began around 1778 after he was involved in repairing the mineral springs at Recoaro, about 35 km north east of Verona. Although the task he had undertaken at Recoaro was in his speciality of hydraulic engineering, he became interested in the chemical composition of the waters. As for all his interests, Lorgna approached this topic by reading the latest works and he decided that he would enter for the Grand Prix of the Paris Academy of Sciences which had as its topic, "Find a cheaper and faster method of production of gunpowder". He was aware of the competition since he had been elected as a corresponding member of the Academy of Sciences and, in that capacity, had been asked to disseminate information about their competitions. He submitted a memoir Recherches sur la formation et la multiplication des nitres Ⓣ as his entry for this Grand Prix. His entry was awarded second prize but there had been controversy over the award with a second jury being set up to evaluate the entries. Lorgna was involved in this controversy arguing his case with the Academy and with Antoine-Laurent Lavoisier (1743-1794), president of the second jury. Towards the end of his life Lorgna began to suffer from ill health, caused by heart problems. He treated this with the same scientific approach as he applied throughout his life. He kept daily records of his symptoms, and experimented by taking various drugs and recording their effects. He died at his home at 39 Porta Nuova, Verona, where he had lived a secluded life; he never married. His home, on the first floor, has today a plaque attached which reads: "In this house on 28 June 1796, Antonio Maria Lorgna died. He was a mathematician, hydraulic engineer, and famous founder and first president of the Italian Society of Science, born in Cerea on the 18 October 1735." Lorgna had one passion in his life outside of mathematics and science, and this was art particularly paintings. He was an avid collector of the leading artists of the day including Giotto di Bondone, Andrea Mantegna, Giovani Bellini, Giorgione (Giorgio da Castelfranco), Correggio (Antonio Allegri), Titian (Tiziano Vecellio), Paolo Veronese, Tintoretto (Jacopo Robusti), Jacopo Bassano, and Rembrandt (Rembrandt Harmenszoon van Rijn). It is a remarkable indication of his dedication to science that he sold this wonderful collection to the Veronese Count, Giovanni Emilei, in 1781 in order to fund the setting up of his Academy and funding its journal the Memorie. Sadly the paintings were not kept together as a collection. Close to the time when Lorgna died, Napoleon Bonaparte led his French armies into the north of Italy taking control of Verona. The Governor of the Military College of Castelvecchio in Verona who was appointed to succeed Lorgna was Leonardo Salimbeni (1752-1823), who had been Lorgna's student and later his colleague at the Military College. Salimbeni continued to act as Governor when Napoleon had the Military College moved to Modena in 1798.